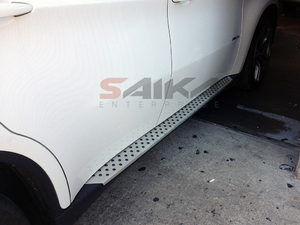 Saika Enterprise : 11-13 BMW X3 (F25 Chassis) OEM Style Aluminum Running Boards - Contact for Price! 11-13 BMW X3 (F25 Chassis) OEM Style Aluminum Running Boards Contact for Price! Made out of high grade Aluminium with non slip rubber tabs.